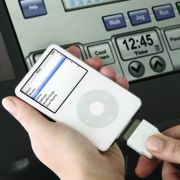 There's always something new on the fitness scene, and as fitness options evolve, the equipment changes too. We talked to manufacturers, fitness facilities and personal trainers to learn about the latest and greatest. 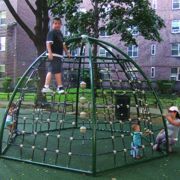 Playground equipment is constantly revisited and evaluated for safety, creativity, innovation and more. Right now, from the philosophical underpinnings to the nuts-and-bolts manufacturing, play is undergoing important changes. Whether your population's demographics are changing, your budget is shrinking or some other external force is driving you to change your offerings, it is critical to find ways to maximize your assets and create the most value for your users. A little community collaboration goes a long way. 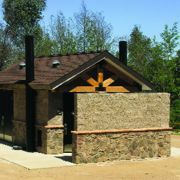 Some park directors consider restrooms a luxury due to the costs of installation and maintenance. 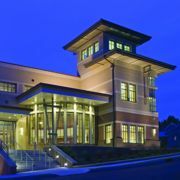 But if you're outfitting a new site or refurbishing an existing park, you can look to durable, versatile and aesthetically pleasing structures that will suit your needs. Sometimes it pays to contract management of your aquatic facility to a third party. From developers to USA Swimming and others, here are some pros and cons to the public-private relationship. Skateboards and the parks that accommodate them have both come a long way since they first hit the scene. Now precast concrete is revolutionizing the way skateparks are developed and built. Score an "A" on your next splashpad or aquatic project by incorporating shade and the three C's—components, color and comfort—to ensure long-lasting cool fun on hot days. This sports center and state-of-the-art training facility opened its doors in July 2008. But while the competition can get hot on the courts, players are kept cool by a clever solution.